Harper Blaine becomes a Greywalker after a vicious assault during a routine investigation (she’s a private investigator). She “died” for a few minutes, and as she recovers, she starts to experience strange visions. The doctors tell her it’s just the recovery process, but one – less hide-bound than the others – suggests some people she might talk to, as he considers that what Harper is experiencing might be something else. Something other. Straight out of hospital Harper also takes on two new cases; a missing university student, and a strange search for a family heirloom. She also has her office burgled, and as a result meets Quinton, who installs alarm systems and who becomes somehow involved with Harper’s affairs. Harper’s strange experiences worsen and she calls the people recommended by the doctor, who turn out to be a researcher and a witch studying and experimenting in paranormal psychology. The supernatural elements of the book become very strong very quickly from this point, pulling ghosts, vampires and other paranormal components into the real world. Greywalker is competently written by newcomer Kat Richardson, but I had some issues with the book. This is the first novel of a series, but to me, it felt like the author was cramming two or even three books into one. The multiple plot lines were distracting and not entirely necessary, as there was no linkage between them. 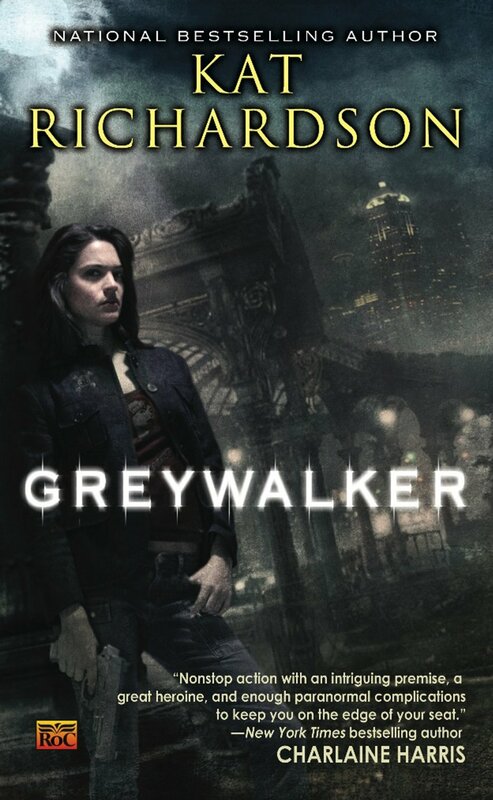 And while other paranormal series of note have huge casts, these typically develop over several books; Greywalker introduces a large number of characters up front, which is somewhat overwhelming. Harper herself is reasonably well-drawn and developed, but I never really gained a “feel” for her, and I found the character interactions quite bland. Conversely, the actual detective aspect of the book worked quite well for me, as the searches Harper investigates unfold. But again, they suffered from a lack of connectivity to anything other than Harper’s emerging struggle to understand and come to grips with her new abilities. Richardson has tried to bring something to this well-worn genre that is new and interesting. In part, she has succeeded to some extent, as the book does go into areas I haven’t come across before, particularly in its treatment of “the Grey”. And while I was not completely enamored with either character or story, I had no problem actually reading the novel, and I do in fact feel Richardson has something to offer the genre. My hopes are that Richardson’s next book in this world will address some of the concerns I’ve had with this novel. Hopefully the plot and characterisation will tighten up as the story evolves, because, despite my misgivings, I think Richardson has a lot to say in the paranormal world.